Tech researcher and interaction designer Karen Tanenbaum is passionate about the maker movement and its ability to transform our relationship to computing and creativity. She holds a masters in linguistics and a Ph.D. in interactive arts and technology. Her research work has focused on wearable, tangible, and ubiquitous computing, as well as the maker movement, interactive narrative, and design fiction. She’s also a dedicated steampunk enthusiast, creating her own costumes, accessories, jewelry, and characters. Karen is currently contributing to MAKE, writing about Maker Faire, with a specific focus on educating first-time fairgoers. 1. The project I’m the most proud of at the moment is probably Captain Chronomek, although there’s still a lot to be done there. My husband and I developed Captain Chronomek with a friend/colleague for a superhero design competition at a conference a couple years ago. He’s a steampunk time traveler, kind of a Doctor Who type (his “Time Spanner” is an homage to the sonic screwdriver) and a maker/tinkerer himself. So far, he exists primarily as a costume: a set of wings, a logo, and some light-up props (including a rad Nixie-clock chestpiece). We did get a chance to take him to an art exhibit, called Powered by Fiction, and as part of that display, we were able to work with a comic writer and artist to produce a little mini-comic story. We’d really like to develop him further at some point, in comics, film, or who knows what else. 1. Always buy two. Well, I don’t know if I’ve learned from this mistake, since I’ve made it repeatedly. Never buy just one of a specific component, especially if you’ve never worked with it before. Most recently, I did this with an ePaper display, which I needed for a demo that was coming up quickly. Sure enough, I blew it out and had to rush order a second one. When you’re working with something for the first time, I think there’s a hesitation over not wanting to invest too much money in it, in case it doesn’t work the way you want it too. But I don’t think I’ve ever regretted purchasing two of something — and I have frequently regretted having just one. I think “always buy two” is the “measure twice, cut once” of electronics. 2. Always comment your code. Again, one that I’ve made repeatedly. This applies even for little projects that you’re not planning on sharing or distributing. I have cursed past-me many times for failing to comment code that seemed straightforward and obvious at the time I was writing it, but turns out to be arcane and confusing a year later when I’m trying to make some changes or reuse a portion of it. Think of it as an investment in future happiness. 1. I’ve been thinking about wearable technology a lot lately, particularly its potential for embodied learning. The internet is great for facilitating many kinds of learning: looking up facts, reading explanations, following step-by-step instructions, etc. But really embodied things, like riding a bike or learning to dance, are still really hard to teach via textual or even video instruction. I feel like there’s a place for wearable technology in teaching these more embodied, visceral skills. There’s some work around this already for things like playing the piano, with a glove that provides vibrational feedback for training. I’m not sure where this idea is going yet, but it’s rolling around in my head. 2. After we experienced amazing sous vide burgers at Umami Burger in Los Angeles, my husband was determined to make his own. (Sous vide cooking is very slow cooking in an airtight bag inside of a water bath.) With the help of some friends, he did a weekend project to build a temperature controller that allows you to sous vide using a crock pot. We’ve been experimenting with it ever since, and made some amazing fish, burgers, and steak. It’s a fun, mad-science way to cook things. 3. 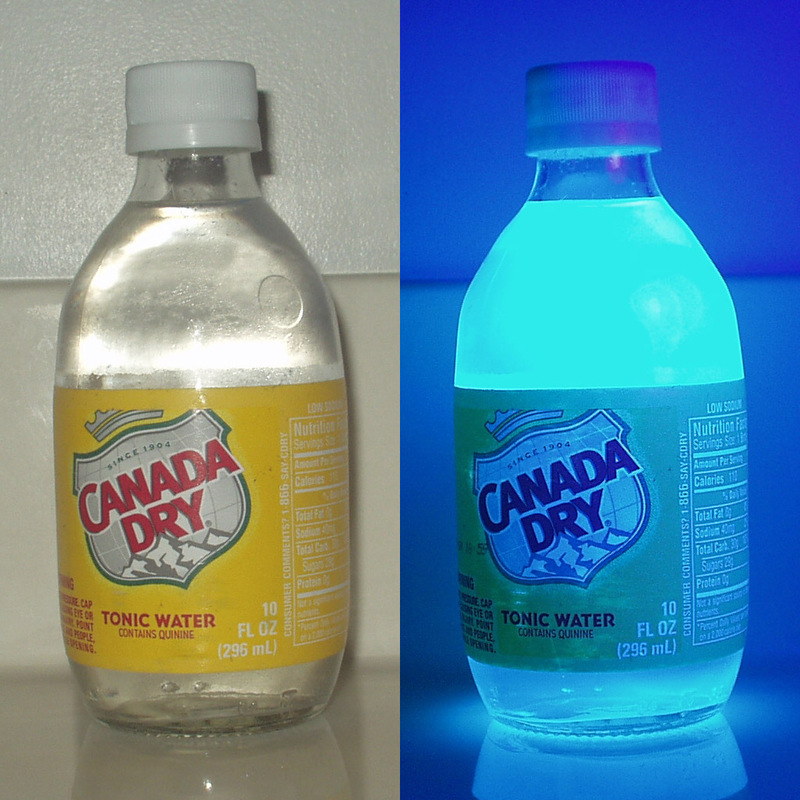 This one’s a little silly, but just last night I learned that the quinine in tonic water is black-light reactive. I learned this from an article about making black-light-reactive jello shots, but I think it’s a rad fact just on its own. I love learning little science tidbits about everyday objects. And it’s something to keep in mind for next Halloween: a black-light-reactive punch would be pretty great. 1. Processing. Processing is an awesome open source programming language and IDE that allows you to quickly make interactive, artistic sketches. I’ve taught it in several classes and it’s a great introduction to programming basics as well as interaction design principles. It lets you mock up and prototype ideas really fast, and it integrates well with Arduino and other platforms. 2. Hammered finish spray paint. In various shades of bronze, gold, and copper, this is a steampunk’s best friend. Too much of it can look cheap and cheesy, but it’s great for covering stray bits of modern materials on your repurposed parts. Layering the paints is especially effective for creating an aged-looking patina. 3. Jeweler’s tools. One of my hobbies for the last few years has been making jewelry out of surplus electronics parts. I ran workshops on making component jewelry at last year’s Portland Mini Maker Faire, and for a recent girls + tech weekend camp, and had a great response both times. There’s something really fun about taking all the brightly colored capacitors, resistors, and circuit boards (which are normally hidden inside electronics) and remixing them into something meant to be worn and shown off. 4. ACM Digital Library. Maybe this is stretching the definition of a tool, but I’m a researcher at heart, so my go-to move with any new project or idea is to start with a lit review. The ACM Digital Library is where I usually start my search; the only downside is that it’s not all open access. 1. Amanda Williams. Amanda is a friend and colleague who runs an design studio with her partner, called Wyld Collective, which does interaction design, research, development, prototyping, and more. They’re currently in Shenzhen, China, for four months, working with the Haxlr8r hardware accelerator to develop a cheap, LED-based lighting system to reduce the risk of fire in slum housing environments. I love Amanda’s work because it’s playful, inventive, and super smart. We’ve written several papers together, too, and working with her is both fun and inspiring. 2. Daniela Rosner. Daniela is another friend and colleague whose work always amazes me. She does research work on how to understand craft and material-based practices in conjunction with technical skills. One of the things she did for her dissertation was study with expert antiquarian book restorers to understand how they practice their art. I love that — getting down into the details of any really specialized practice is always fascinating and engrossing. Daniela has a very precise but also creative mind, and I love seeing how she puts ideas together in a rigorous but also beautiful way. 3. Hannah Perner-Wilson. I’ve never actually met Hannah, but her work has inspired me repeteadly over the last few years. She does amazing work with soft circuits and smart textiles — both aesthetically beautiful and cleverly functional. She also hosts the most amazing DIY documentation website for wearable technology, which is full of information and inspiration for making your own projects. 4. Cartography. As much as I love technology and the bleeding edge, I also like to stay grounded in the past. I used to study history (Medieval/Celtic Studies specifically) and was really into the Arthurian legends and renaissance faires and so forth. Antique maps and cartography fascinate me, and I have a small collection. They are beautiful artifacts just taken on their own merit, a melding of art and scientific measurement. They remind me that things we generally consider to be stable (national boundaries, names for cities, rivers, and mountains, even the locations of things) are actually in flux. While we might not have places on the map labeled “here be dragons” anymore, I think it’s a good reminder that there are always unknowns when we start to explore new areas. 5. Steampunk. Obviously this ties into my love of history and old maps as well, and allows me to blend in some more modern technological elements. I like steampunk simply as an aesthetic (brass and leather and old Nixie tubes), but I also think it’s interesting as a reflection of how people relate to technology and the modern day. There’s a reason why steampunk is becoming popular right now, and I’ve even been able to explore that question in some of my academic work. Steampunk can be read as a reaction against sterile, mass-produced consumer electronics, a resistance to wasteful and destructive industrialization, and a longing for more artisanal, hand-crafted objects.